The most common cause of sewage backup in properties that are not on the city sewer system is drain field or leach field failure. The septic drain field comprises a network of perforated pipes that are in the soil in gravel-filled trenches. Wastewater from septic tank flows into the pipes and percolates into the soil. 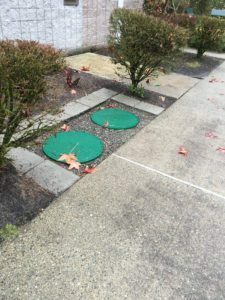 Failure of a septic drain field in any Gig Harbor, WA property leads to the collapse of the septic system. Until the right leach field repair is done, life becomes difficult for the inhabitants. 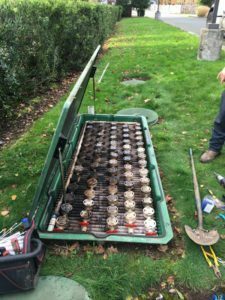 Understanding the common reasons for septic drain field problems is important for property owners to keep the system working well. Timely and correct drain field repair can go a long way in protecting you from the burden of premature replacement of the piping network. That is why it makes sense to turn to proven pros and bring in our technicians to assess the saturated leach field in your property. 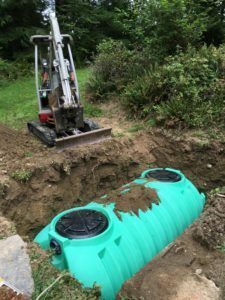 We are a knowledgeable septic company with experience in performing drain field repair in Gig Harbor area homes and commercial properties. We also handle leach field repair jobs for municipalities. The quality of leach field repair affects the future functionality, reliability, and longevity of your septic system. Nobody appreciates this better than us. We send only highly trained technicians for handling your Gig Harbor area leach field repair job. We also see to it that our people do not cut corners as they repair or restore your leach field. State-of-the-art tools and top-grade materials are used to ensure septic drain field repair solutions that stand the test of time. Call VAC-TEC LLC at (253) 777-4887 for leach field repair services in the Gig Harbor area.